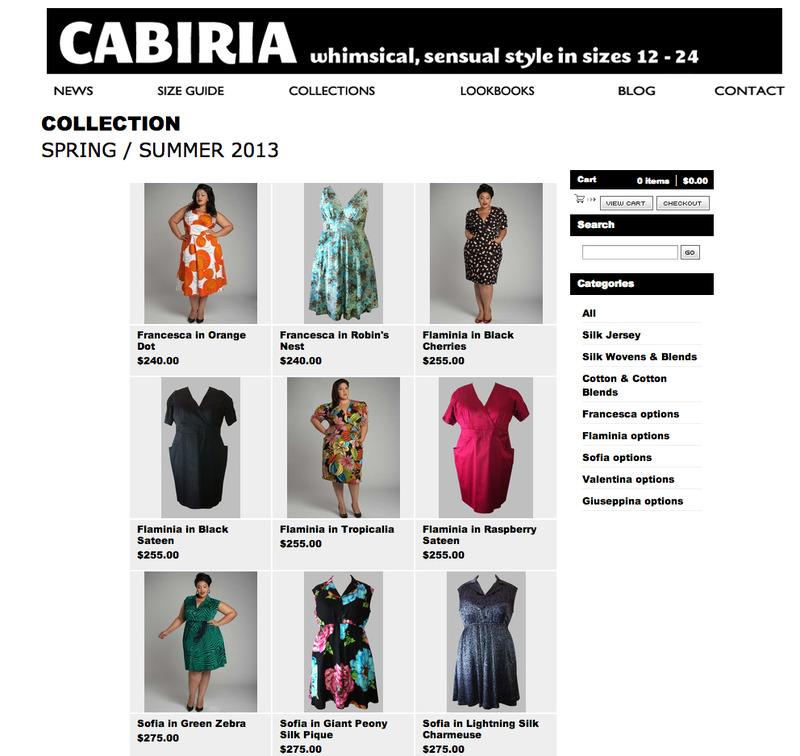 The Cabiria Online Store is now OPEN! Happy President's Day! Or for you folks in other countries, Happy Monday! In celebration of having an extra day to play and romp, and because it means Spring is around the corner, I am thrilled to announce that the Cabiria online store is now open. Thank you all for helping make this a reality! You can reach the store through the main Cabiria website in "Shop Collections" or "Collections", or you can go directly to the storefront. Either way, everything is now available to you. Additionally, Madison Plus Select is featuring a curated group of Cabiria clothing not available in our online store, and Bombshell Boutique in St. Paul, MN should have Cabiria on the shelves any day now. If you are a retailer, or know someone who might like to carry Cabiria in their shop, please let me know, and I can send them info on wholesale resources online. I'm so thrilled - thank you and now GO SHOP! They ordered a number of pieces from us, and are featuring them in a roll out with other brands, but we're up and running! 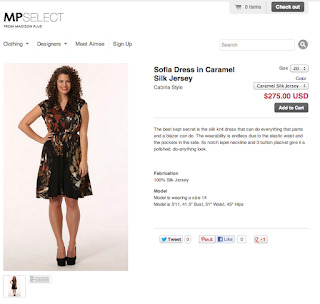 We are also going to be landing on the racks at the beautiful Bombshell Boutique in St. Paul, MN in the next few weeks. The owner Denise Alden has exquisite taste, and is a real treasure for you in the Twin Cities region. As of this weekend, I should be done entering inventory onto the online store as well, and will be opening up the Cabiria Store online for direct sales as well. So many exciting things afoot! Hooray! I want to thank you for your patience since the last update. In between, the fabric went to the factory, and two months later, they're emerging as dresses. We're picking them up today, just ahead of a big winter storm! I've been back and forth to the factory many times since they started production, and was even interviewed on Japanese TV for an NHK show called "El Mundo" as the symbolic representative of all the indie plus size designers in the US. How cool is that? And yesterday, I was in the factory bagging up the dresses for transport to my studio, which is about to get very, very crowded. Hopefully, not for very long! I'll next be delivering dresses to those who pledged at the amounts to get them as part of their Kickstarter swag (thank you again!! ), and to the several boutiques who pre-ordered them. I will also then release them for sale on the e-store website, http://www.store.cabiriastyle.com and hopefully sell out very quickly. The success of the line's sales will determine if Cabiria goes forward with a Fall Winter 13/14 line, but here's the secret: it's already been designed, patterned, and first prototyped. Prepared! I'll be updating soon, and if you were a backer at the level to get dresses but did not pick what you wanted, PLEASE get in touch with me as soon as humanly possible! If they are sold and gone, I can't replace them for you.